If you’re getting married soon, chances are that you’re looking to save money in any way that you can. So when your cousin or that distant great aunt that you’ve only met twice calls you up and volunteers to take your wedding photos for free with their fancy new camera that they just bought, it can be quite tempting. I am here to tell you that if you care at all what your wedding photos look like, DON’T DO IT! Hire a professional! Even though your great aunt may have that fancy camera, she most likely doesn’t know how to use it properly. Does she even know what aperture is? Maybe, but a professional knows their camera inside and out. A professional has experience. They’ve been doing this for so long that they know what shots they need to get, how to pose people and how to use the light. Before capturing a moment, they can frame it so that the composition is just right. Now that light post is beside you, and not sticking out of your head. 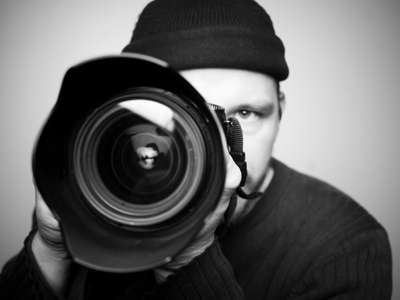 A professional will always have a backup camera, memory cards, lenses and battery packs. It would be extremely stressful if Aunt Karen’s fancy camera suddenly died, and this is definitely a day where you want to have the least amount of stress. A professional knows how to edit. Your aunt may be able to do selective coloring in Photoshop, but that doesn’t mean she should. It’s probably the tackiest thing anyone could do to a photo. Unless your wedding day is a day you really don’t care about and don’t want to remember, hire a professional! They’re expensive, yes, but I can’t imagine anyone looking back fifty years later on beautiful photos from their wedding day and regretting it.